You can go to Walt Disney World on all different types of budgets. You can make it work for $2,000 or less and you can splurge and go and drop the price of a car on a week going all out! There are so many ways and shapes of vacations and one option that I love is a fun and intimate trip for 2 on a moderately deluxe budget of $5,000. Yes, I say moderately deluxe at $5,000 and I know it is only two people, but you can throw down some serious money at Disney if you let me (um if you want!). Pricing is rack rate, so this is without ANY special promotions or discounts and I always recommend booking what you can afford without a discount. Discounts/promotions are NOT guaranteed, inventory is limited, and if you do get a promotion applied I think it is awesome to use it to upgrade. Club level? Deluxe dining? Fireworks cruise? Or if not an upgrade, extra money in your pockets for some fun souvenirs (I am a fan of Olszewski’s trinkets, especially his light boxes). Okay back to my romantic trip for 2! So, here is what I think would be great! Option 1 – Dates September 18 – 24, 2017 – almost a whole week away from the world with your special someone! Disney’s Polynesian Village Resort – Standard Room with Standard View. I love this resort for so many reasons. I find it romantic, nostalgic and such a beautiful property to walk around. Plus the dining options are some of the best and you can grab a daily Dole Whip! Included in this option is a 5 day park hopper. You definitely want a park hopper on this trip, because you are going to want to hop over to different parks for some amazing dinners and have the freedom of changing your mind on this trip for 2. You only need 5 days because on your trip for 2 you are going to want at least one full day to spend at the resort, sleep in, no alarms, sit by the pool, leisurely stroll around, and do some shopping. And also, the standard Disney Dining Plan. Did you want Deluxe on this trip so you could go all out with some 2 credit meals and really be Disney foodies? Yes, well I did too, but I wanted the Poly more on this option and I am a fan of longer trips. This is my romantic trip for 2, so this is what it is for Option 1. This is coming in at $4,919.68 so right there at budget! 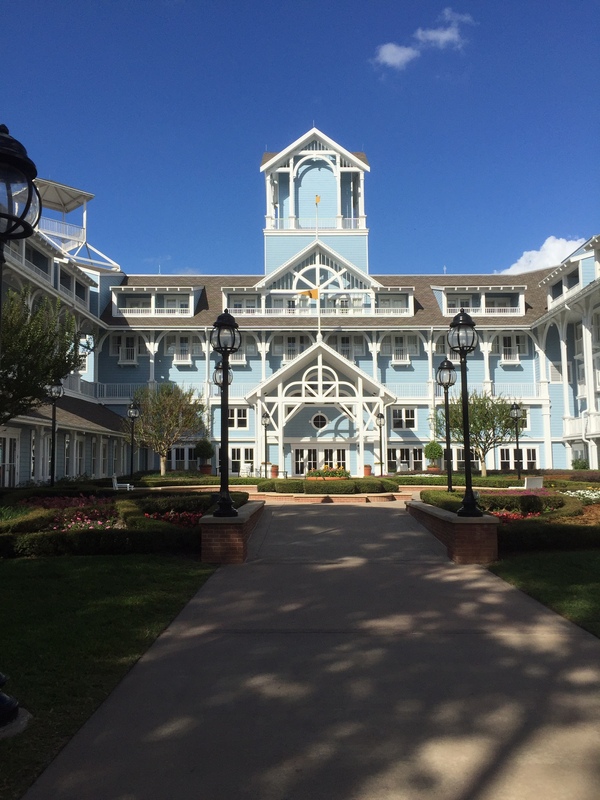 Disney’s Beach Club Resort – Standard Room with Standard View. I love this resort for your trip for 2 as the location is great for 2 adults. 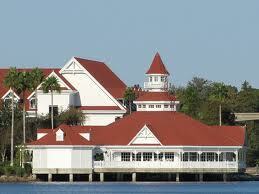 You can walk or boat to Epcot and Hollywood Studios. So, easy peasy (lemon squeasy) to go to Epcot and drink or snack around the World in the afternoon, take a break and a nap, then back to finish your Around the World challenge. I have found whether it is Drink or Snack Around the World a nap is a must. Plus, the pool here at Beach Club, which is named Stormalong Bay, is the best on property and has a sandy bottom and lazy river which is perfect to spend some lazy time! I included 5 day park hopper for same reasons as above. Plus with Stormalong Bay you are going to want to be lazy for at least a full day! This time, I was able to get deluxe dining in without going over budget! The Epcot resorts are a great option for deluxe stays, they are typically a little less expensive than the monorail resorts, but for resorts they are super nice and super convenient to Epcot and Hollywood Studios. Disney’s Grand Floridian Resort – Outer Building, Standard View, CLUB LEVEL I wanted to include the Grand Floridian as being the Flagship and such a great option. Plus, a trip for 2 that includes the G Flo and Club Level is a top option, but I did have to shorten the trip. Oh well, the club level makes up for it! 4 day Park Hoppers since it is a shorter trip. Standard Disney Dining Plan and club level makes this a dream trip for comfort and convenience! And being on the monorail is the cherry on top! this option because the Garden Room (or cottages) are the most amazing option for a 2 person stay. You get your own little two-story cottage complete with your own fenced in garden, mail box and cute white picket fence. You are right across from a quiet pool and not too far from the club level lounge. These cottages are special and very limited (total of 14 I think). I truly loved everything about them. I did 4 day Park Hoppers. Though you will love the cottage so much you may not want to leave! No dining plan, which is sad, but to keep on budget and since you are going to love hanging around your cottage and pool area and be so close to club level it is okay to skip the dining plan this time! So, these are just a few options for your romantic trip for 2 to Disney! Which trip do you want to take? This entry was posted in Disney World, Uncategorized and tagged 000 budget, Disney Deluxe Pricing, Disney on a $5, disney on a budget, Disney Pricing, Romantic Trip for 2, Romantic Trip to Disney by Tara. Bookmark the permalink.